The small town of Gambella is an oddity among Ethiopian towns, and a most appealing one. Lying at an altitude of 450m in the swampy, mosquito-ridden lowlands, Gambella exudes an atmosphere of tropical languor, dictated as much by its lush vegetation and almost unbearable humidity as by its remoteness from just about everywhere. Historically, ethnically and scenically, Gambella is barely a part of Ethiopia at all. Two main ethnic groups live in Gambella - the Anuyak, who are strikingly tall and very dark-skinned for Ethiopians, and the Nuer, who are smaller but even more dark skinned. Gambella is a lovely place and the people are utterly charming. The government Ethiopia Hotel is set in attractive rambling grounds on the bank of the Baro River. Self-contained double rooms cost around US$ 16. The restaurant serves reasonable meals for just over US$ 1. Of the private hotels you can try the Opena Hotel, opposite the bus station, where a clean self-contained room with nets costs US$ 2.50 What to see and do Gambella offers little in the way of organised sightseeing and its remoteness does not make it a prime target for mass tourism. The area is, however, rich in wildlife and the layout of the town is such that just strolling around you can see plenty of birds and monkeys. It is worth devoting some time to the bridge over the Baro (ask permission to take photographs) and, to its west, the shady avenue that follows the river's course - one of Gambella's few apparent British relics. Other places of interest are the ruined Italian fort and surrounding swamp, and the isolated hill about 1 km north of the town centre. In the market you can buy the woven baskets and bubble pipes that are characteristic of the area. However Gambella's real attraction is its singular and absorbing sense of place and its wonderfully evocative atmosphere. There is a tourist office in the government buildings north of the town centre. Gambella is the virtually the end of the road as far as public transport is concerned. 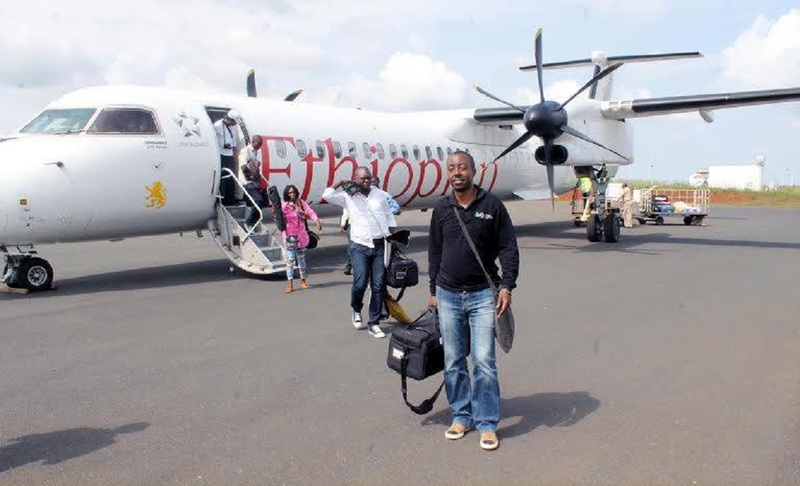 You could take a plane out to Addis Ababa, or you can take a bus on to Jimma, the largest town in western Ethiopia. The town seems extraordinarily cosmopolitan and, although Jimma lacks any notable tourist attractions, you couldn't hope for a friendlier, greener, or better equipped place to rest up between bus trips. For those with private transport Gambella is the potential springboard for two remote expeditions. The first would take you south to Abobo and Gog through the heart of the remote Gambella National park, a swampy reserve that is famed for its population of Nile lechwe. Even backpackers could do this trip as you may be able to get some kind of public transport as far as Gog. 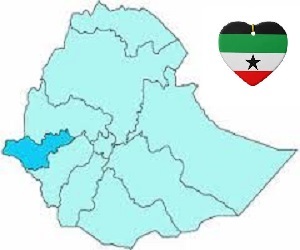 A second option would be to follow the seasonal road that runs west from Gambella along the course of the Baro River, eventually reaching the Sudanese border at Jika. The road takes you through an area inhabited by Anuyak fishermen and Nuer pastoralists whose lifestyles are virtually untouched by Western influences. The area is also rich in birds, crocodiles and water and forest mammals such as hippo and various monkeys. If you are thinking about exploring these areas you should be entirely self-sufficient. It would also be sensible to ask around Gambella about road conditions and the current security situation in this intermittently volatile Sudanese border region. The tourist office, the Ethiopia Hotel or the police station would be good places to start.